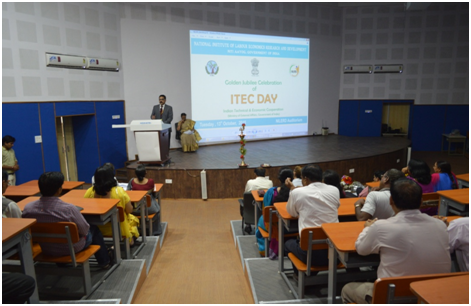 NILERD celebrated the Golden Jubilee of ITEC Day on 13th October 2015 at its premises located at Narela, Delhi. Dr. P.K. Anand, Consultant, NITI Aayog was the Chief Guest and Shri Hemender Kumar Sharma, Director (DPA-II), MEA, Govt. of India, was the Guest of honour of the function. Prof. Ajay Kumar Sharma, Director, NIT Delhi was also present. 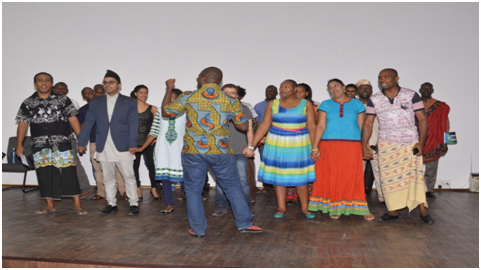 Participants of three ongoing ITEC courses such as Master’s Degree Course in Human Resource Planning and Development – An Executive Programme, Diploma in Monitoring and Evaluation, International Training Programme on Manpower Research and faculty and staff participated in the celebration of ITEC day. 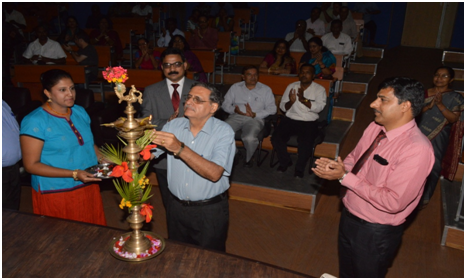 The event started with the lamp lightening followed by the welcome address by Dr. Yogesh Suri, Director General, NILERD. While welcoming the guests, Dr. Suri elaborated on the contribution of Indian Technical & Economic Cooperation (ITEC) Programme which has evolved and grown over the years. He mentioned that, at present 161 countries in Asia, East Europe, Central Asia, Africa, Latin America, the Caribbean as well as Pacific and Small Island countries are sharing the Indian developmental experience in various fields under the various activities of the programme. He also elaborated the important role played by NILERD under the training and capacity building activity of ITEC. Since 1997 the institute has trained more than 2000 senior and middle level professional of these developing countries working in the field of Planning and Development of Human Resources and Monitoring & Evaluation through its various long term and short term academic/training courses. These programmes have generated immense goodwill and substantive cooperation for India among the developing countries. Shri Hemender Kumar Sharma, Director, MEA, Govt. of India, mentioned the aim and objectives of the launching of Indian Technical and Economic Cooperation (ITEC) programme in 1964 as the flagship programme of the Indian Government for technical cooperation with developing Countries. Shri Sharma explained how under various activities of ITEC programme the partner countries have been benefitted not only in the field of human capital formation but also in diverse areas. Then he mentioned the progress of this programme as a result of which there is now a visible and growing awareness among other countries about the competence of India as a provider of technical know-how and expertise as well as training opportunities, consultancy services and has improved the bilateral relations with these countries. The programme started with a movie on ITEC prepared and developed by MEA depicting the bilateral relationships of India with its ITEC partner countries. 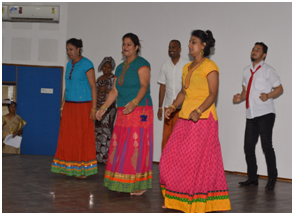 There was a one hour cultural programme by the participants of on going three courses who managed such a very splendid performance on a very short notice for the Celebration of the Golden Jubilee of ITEC Day. 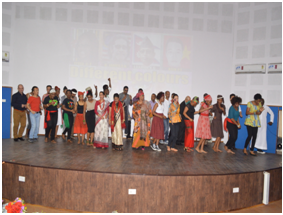 The basic theme of the cultural programme was Unity in Diversity. Some participants shared their experience and diverse learning through interactions with trainees from other countries. They talked very high about the quality and usefulness of the ITEC course/ training in India. 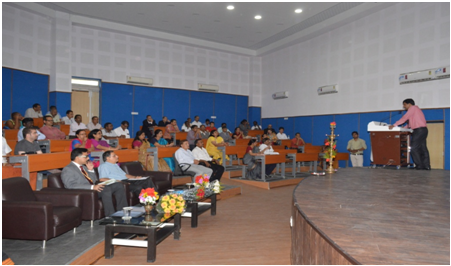 Dr. P K Anand in his address shared his personal experiences and put emphasis on learning. He told the participants that they should be thankful for having an opportunity of more diverse learning from the diverse group. The event was ended with the vote of thanks by Ms Gayatri Pandey, Jt. Director.